http://carlisletheacarlisletheatre.org/xmlrpc.php Publishing magnate William Randolph Hearst, who bought and ran Cosmopolitan, Harper’s Bazaar and Good Housekeeping, began investing in motion pictures in 1914. He distributed news through his newsreel services, financed motion pictures, and distributed them through his Hearst International Film and Pathé International services. http://carlisletheacarlisletheatre.org/xmlrpc.php Will Bradley served as ‘supervising art director’ for Hearst publications and motion pictures from 1914 through spring 1917. After which, he wrote, produced and directed his own independent films. Tramadol 200Mg Online In 1914 Theodore and Leopold Wharton established their own production company, The Whartons, Incorporated in Ithaca, New York. They were the first directors to establish their own studios as independent producers. 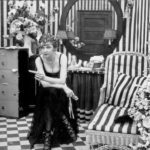 Hearst’s first investments motion pictures were for their adventure serials The Perils of Pauline (1914) and The Exploits of Elaine (1915). http://carlisletheacarlisletheatre.org/xmlrpc.php In Oct 1916, the success of these two serials spurred Hearst to ask Bradley to art direct his films. By then, the first 10 episodes of Beatrice Fairfax had been filmed. Hearst wanted to keep him around, and tasked him to manage publicity for his films and the typographical layouts of his publications. But Bradley was hooked with the excitement of filmmaking, or as the media then termed it — ‘taking’ moving pictures. 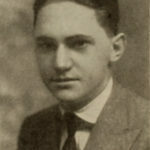 He formed a production company with Century Company publisher William Morgan Shuster called http://carlisletheacarlisletheatre.org/wp-login.php Dramafilms (also known as Will Bradley Productions), and screened as many photoplays as he could. He began writing scenarios, and most probably looking for backers within his theatre connections. In 1918, he hired Broadway actors Marion Harding and H. Dudley Hawley and took them on location scouting trips in the Southeast United States. Although local news outlets reported his visits, Bradley was quiet about divulging too many details. Bradley and Shuster arranged for independent powerhouse Arrow Pictures to distribute and market their films. Arrow Film Corporation was formed in 1915 by W.E. Shallenberger “as a production unit, but soon switched to brokering other producer’s productions. By the early 1920s it was one of the largest independent distributors around…” In 1924, its vice-president, W. Ray Johnston, formed Rayart Productions, producing his own low-budget films while distributing outside product. Arrow went into receivership in 1926. Will H. Bradley’s film credits have, over the years, become confused with those of Willard King Bradley. Adding to the confusion, in 1921 Willard King Bradley maintained an office in the same building as Arrow Film Corporation, Will H. Bradley’s film distributor! Art director. Beatrice Fairfax (15-episode serial, Wharton Incorporated, released by International Film Service / Pathé Exchange, Aug 1916), starring Grace Darling and Harry Fox. Art director, assistant director. 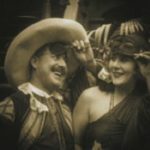 Patria: the great romance of preparedness (15 episode serial, Wharton Incorporated, released by International Film Service / Pathé Exchange, 1917), starring Irene Castle, Warner Oland and Wallace Beery. Writer, director, producer. Bitter Fruit (a.k.a. The black lagoon, pirate adventure, Dramafilms, released by Arrow Film Corporation, Oct 1920), starring Jane Gail, Ruth Pecheur, John Charles, Wallace Ray, and Buck Connors. Writer, director, producer. Moongold: a Pierrot Pantomime (a.k.a. Lune d’amour, fantasy, Dramafilms, released by F.B. Warren Corporation, May 1921), starring Lois Bartlett, H. Dudley Hawley and Syn de Conde. Writer, director, producer. The Tame Cat (a.k.a. Eye of Rau, Dramafilms, released by Arrow Film Corporation, Jul 1921), starring Marion Harding, H. Dudley Hawley and Rea Irvin. Ref: The Photo Playwright, vol 1, no 5 (Aug 1912), pg 18; Moving Picture World, vol 13, no 6 (10 Aug 1912), pg 522; Motion Picture Magazine, vol 13, no 3 (Apr 1917), pg 10; “Here to make pictures: Mr Bradley and his leading players are in town,” Charleston News and Courier (Charleston, SC), Wed, 6 Mar 1918, pg 2; Why Santa Cruz has been selected as the location for the studio and production activities of Wharton Film Classics, Inc., Santa Cruz: Wharton, 1928; Bambace, pg xxi; Koch, pp 161-163; website – imdb.com; website – silentera.com. Citation: Lindsay, Martin S. The Films of Will H. Bradley. Website: WillBradley.com. Accessed 18 Apr 2019, <https://willbradley.com/work/film/>. Bibliography. References.